FULTON, NY – CNY Arts Center is preparing for its third annual Arts Fest to be held June 8 from 10 a.m. to 4 p.m. at Fulton’s War Memorial Ice Rink. Last year’s Arts Fest hosted more than 60 artists and crafters, a lineup of entertainers and a variety of food choices. Artists demonstrate their technique at Arts Fest 2012. Artist registration for the third annual Arts Fest to be held June 8 from 10 a.m. to 4 p.m. is now open. 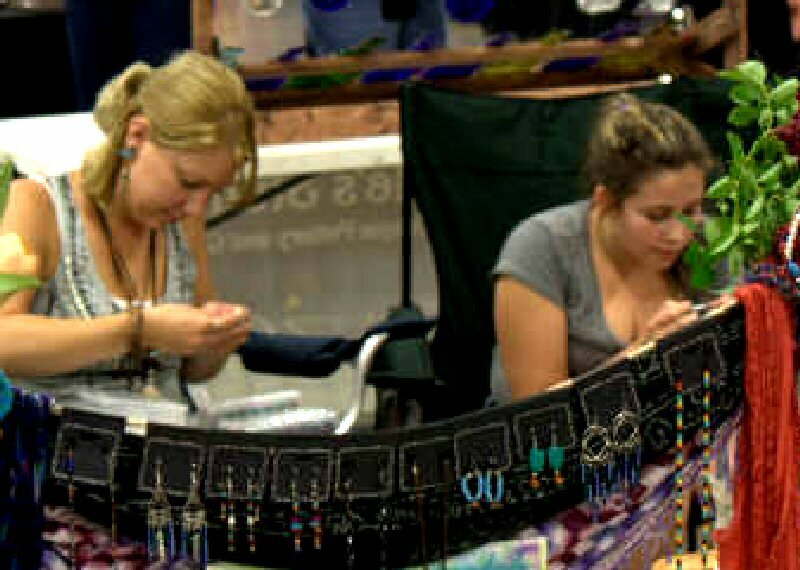 Artists and crafters with handmade original art are invited to register for the 2013 Arts Fest. This year’s event will host all vendors indoors while entertainment and some food vendors will move outdoors. This will allow for better noise levels in the ice rink and accommodate more vendors inside in the event of rainy weather. Artists are encouraged to schedule demonstrations in their booths to educate the community about art technique and creative expression. Electricity will be available at no extra charge. Booth prices remain the same as last year’s. Food vendors are also sought for a variety of food options. The talent competition will expand this year to offer prizes in various categories including music, storytelling and dance. Full details will be available online in the coming weeks. All ages and types of family friendly acts are invited to enter the competition. Tourism outreach efforts are being doubled with this year’s event to attract more visitors to the festival. This will benefit both artists and restaurateurs and generate an economic impact in the community. The goal of the festival is to celebrate the local arts scene and create a destination event drawing tourist dollars to the CNY region. CNY Arts Center’s first Arts Fest took place in downtown Fulton on the river with 15 artists and nearly a dozen acts competing for prizes in the talent competition. The nonprofit organization’s mission is to provide art experiences to the region by promoting the arts. Artists and Food vendors can register online at www.CNYArtsCenter.com or call 592-3373 for more information.